The 25th Dubai Boat Show starts tomorrow, and here is a selection of the yachts to see while there. Making it’s Dubai Boat Show debut is the yacht spotters’ favourite, the striking Silverfast. The fourth in the aluminium Silver series from Hanseatic Marine / Silver Yachts in Western Australia, with sleek, sporty lines from Espen Øino. A top speed of 27 knots and a cruising speed of 20-22 knots makes this an ideal yacht for those who like to get places quickly. Also nearby but not in the show are two earlier sister ships, Rabdan and Smeralda. The first time this brand new Feadship has been in a show, she will make her public debut in Dubai. With a Bannenberg & Rowell exterior and Studio Indigo interior, the yacht was delivered in July 2016 by the renowned Van Lent yard. 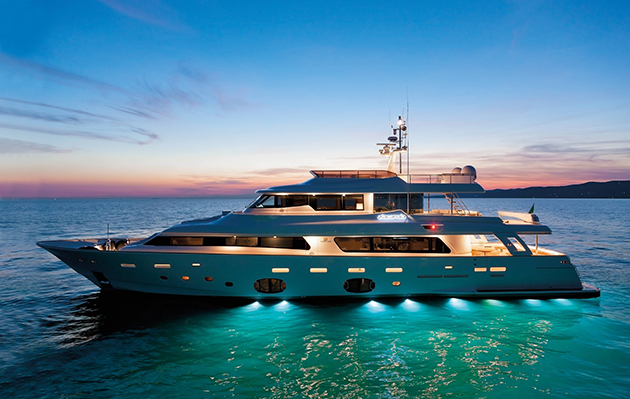 The 70-metre yacht boasts a gym, jacuzzi, beach club and disco. 17 crew look after 12 guests. 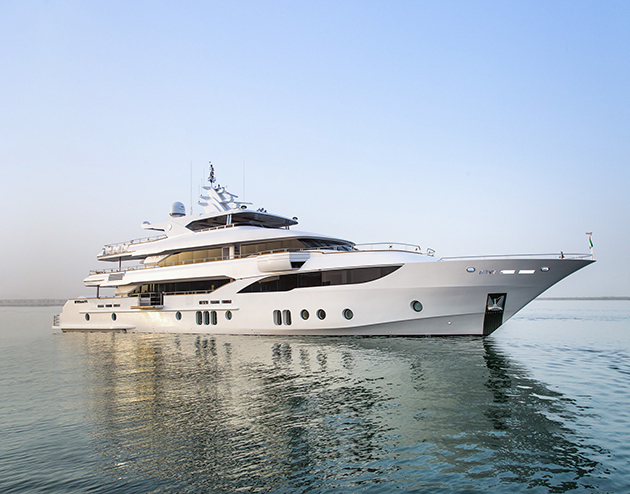 The 47-metre superyacht is the flagship of the UAE-based yard, which is celebrating its 35th anniversary this year. The all-composite yacht features exteriors by Gulf Craft and Yankee Delta Studios, and sleeps 12 across its roomy interior. Ferretti Yachts are presenting the Crescendo 33, a semi-planing composite superyacht, with styling by Studio Zuccon International Project and the Ferretti Group Engineering Department. There is a full beam master cabin forward which offers great views, and a further three guest cabins and a gym on the deck below. A light interior is complemented by Fendi Casa soft furnishings. The yacht has a top speed of 20 knots, and an impressive range of 2300 nautical miles at 10 knots.